I decided to make the Montessori colored bead stair after I had already made my own imitation “golden” (actually white) beads. So far, the colored beads representing each number between 1 and 9 are not actually necessary, since the child can just count out the appropriate number of single golden beads. 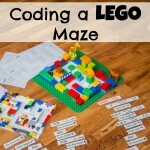 However, they are a handy shortcut that keep the child interested in whatever we’re doing. If I expected my kid to count out 9 single beads every time he wanted to represent 9 (which I already know he’s capable of doing), he would get bored really fast and find the whole exercise too tedious. However, if he can just grab a 9-bar out of our set of colored beads, he’s likely to stay interested much longer. Time Required: Each bar takes about 1-2 minutes to make depending on the length. With one 500 pack of beads of various colors, I was able to make ten each of 2-,3-,and 4-bars, nine 5-bars, six 6- and 7- bars, and five 8- and 9-bars, or about 60 bars. Therefore, the total time was approximately 1-2 hours. At some point I will likely buy another 500 pack of beads so that I can have 10 of each length for when my kids are learning multiplication. Completing my set will likely take less than an hour. 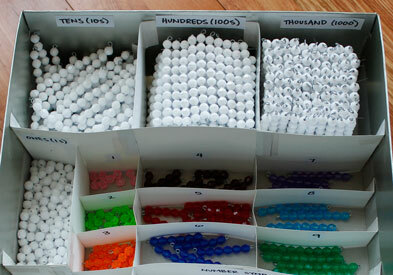 First, sort all your beads by color. 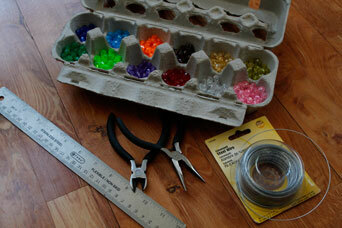 My variety pack had 12 colors, so I used an egg carton to sort them. Decide which color will represent each length bar, using the most plentiful colors for the largest bars. For each number bar, you could experiment to see what the desired length of wire is, then use a ruler to measure out the desired number of wire pieces for that length. 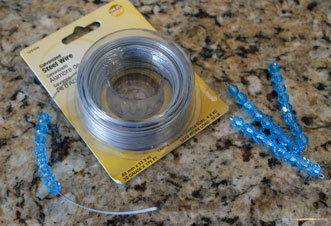 However, I chose to first thread the desired number of beads onto the wire spool. 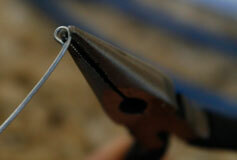 Curl the end of the wire using the tip of the needle nose pliers in order to hold the beads on the wire. Cut the wire leaving an extra length to be curled. 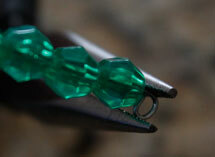 For me the ideal extra length was about the length of one bead (or around 1 cm), though this might vary from person to person depending on the tool and technique used to bend the wire. 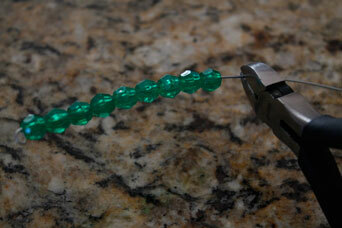 Curl the end of the wire to hold all the beads together. 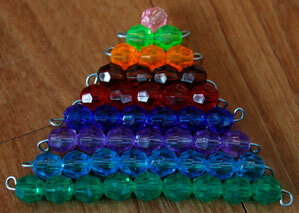 Repeat in order to have bars 2 to 9 beads long, with each length being represented by a different color. 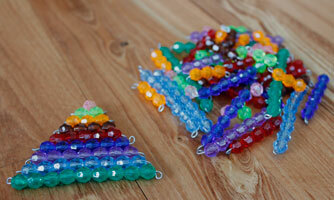 Make as many as you can of each length (up to 10) based on the number of beads you have of each color. I made a special box to hold all my bead material, but they could be stored in a wide variety of ways (including in a Ziploc bag). 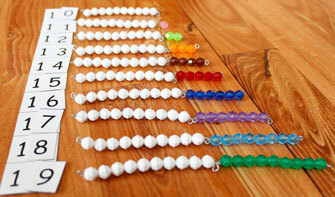 There are many things you can do with the colored beads. In addition to letting your child make them into a triangle, you could also use them with Montessori Number Symbol Cards or Seguin Boards. Click here for more Counting and Number Recognition activities for kids. 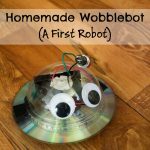 I’m so excited to have found your site and descriptive and easy-to-follow instructions on how to make the Montessori beads!!! Now that we’re teaching our 3 sons at home, we’d been trying to determine if it was better to make them or just fork down and buy them? 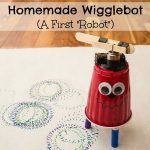 We’re so relieved that we can make them and save the money for materials we can’t make easily. I am so grateful for your time documenting what you did! You saved us so much time and research figuring out how to do it ourselves. I guess I was just curious if the beads you purchased were a specific brand? It seems a lot of the big bags of beads have a lot more colors than 10; preferring to stick to the classic ten colors, I wasn’t sure if you found a specific brand that sold that particular number without waste? If you remember, by any chance or have any recollection of how many colors you found at a time? It seems you’d end up with a lot of leftovers to keep the colors congruent. Thank you so much!!!! Hi, Peter. I’m so sorry! It has been SO long since I made this material. I wasn’t really using a specific brand. I just used the cheapest I could find at the time. 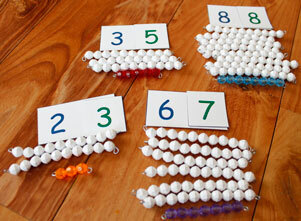 We still use our Montessori beads weekly for math! 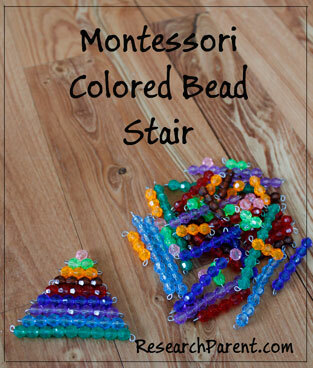 Honestly, though, I use these ones a LOT more than the colored bead stair: https://researchparent.com/montessori-golden-beads/ If you wanted to make these instead, you would just need one color and any color would work!